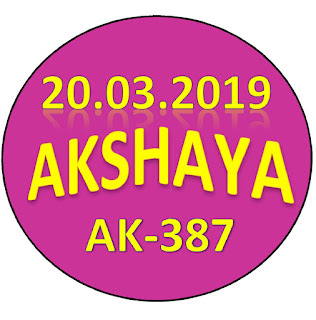 Kerala lottery guessing / predictions for AKSHAYA AK-387 dated 20.03.2019 is published below.These guessing number are just our and our visitors predictions. This is only a speculative game for fun and to increase the curiosity on the draw. 3/20/2019 6:46:39 R. Venkatraman Muthupet 150.105. 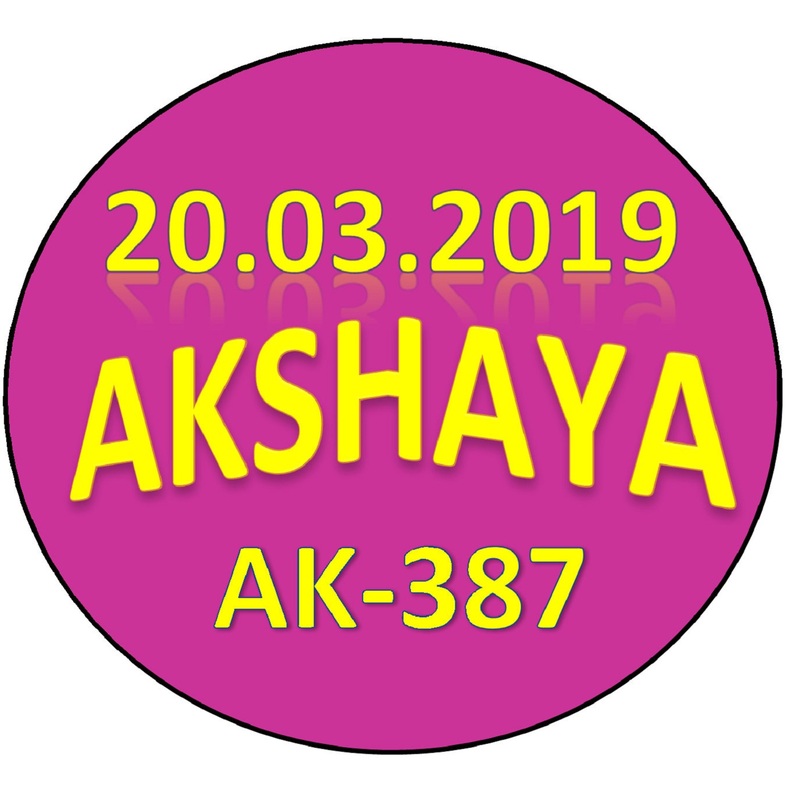 3/20/2019 11:26:16 Sk sakthivel Tamil nadu 20/MAR/2019 A 8 9 B 8 9 C 8 9 All bord 8888888 MAIN NUMBERS 189 918 136 198 631 863 368 683 139 936 SUPPORT NUMBERS 639 981 368 669 289 291 293 296 998 219 939 969 819 891 By sk..
3/20/2019 11:30:22 Karthigai vaasan Coimbatore 20/MAR/2019 A 8 9 B 8 9 C 8 9 All bord 8888888 MAIN NUMBERS 189 918 136 198 631 863 368 683 139 936 SUPPORT NUMBERS 639 981 368 669 289 291 293 296 998 219 939 969 819 891 By sk..
3/20/2019 12:45:17 Muthumari Gundiy 876.586. 3/20/2019 12:59:15 Honest படலூர் All bored . 0.3.5. 3/20/2019 14:01:54 C. Ponnuchamy Vedasandur 648.732..435. ALL BOARD: 1 - 9 - 0. 627, 621, 697, 691, 687, 681, 427, 421, 497, 491, 487, 481, 527, 521, 597, 591, 587, 581, 927, 921, 997, 991, 987, 981. 092, 093, 090, 095, 042, 043, 040, 045, 082, 083, 080, 085, 032, 033, 030, 035.